It seems like some people on DJI forum are losing Battery power quickly after 30% and crashing !! TB47 more likely than TB48. I mostly use TB48 and do not Deep cycle them so far life shows 100% after 24 cycles. The new firmware makes you do deep cycle (deep discharge) after max 10 charges. I think that info by DJI is WRONG! and should NOT be followed. I posted the following on DJI forum but noticed it did not go to the top because i was criticizing DJI!! There is obviously censoring and burying of the posts critical of DJI so i decided to post here . Similar to a mechanical device that wears out faster with heavy use, so also does the depth of discharge (DoD) determine the cycle count. The shorter the discharge (low DoD), the longer the battery will last. If at all possible, avoid full discharges and charge the battery more often between uses. Partial discharge on Li-ion is fine. Table 2 compares the number of discharge/charge cycles Li-ion can deliver at various DoD levels before the battery capacity drops to 70 percent. All other variables such as charge voltage, temperature and load currents are set to average default setting. Lithium-ion suffers from stress when exposed to heat, so does keeping a cell at a high charge voltage. A battery dwelling above 30°C (86°F) is considered elevated temperatureand for most Li-ion, a voltage above 4.10V/cell is deemed as high voltage. Exposing the battery to high temperature and dwelling in a full state-of-charge for an extended time can be more stressful than cycling. Table 3 demonstrates capacity loss as a function of temperature and SoC. Most Li-ions charge to 4.20V/cell and every reduction in peak charge voltage of 0.10V/cell is said to double cycle life. For example, a lithium-ion cell charged to 4.20V/cell typically delivers 300–500 cycles. If charged to only 4.10V/cell, the life can be prolonged to 600–1,000 cycles; 4.00V/cell should deliver 1,200–2,000 and 3.90V/cell 2,400–4,000 cycles. In terms of longevity, the optimal charge voltage is 3.92V/cell. Battery experts believe that this threshold eliminates all voltage-related stresses; going lower may not gain further benefits but induce other symptoms. (See BU-808b: What causes Li-ion to die?) Table 4 summarizes the capacity as function of charge levels. All values are estimated. Most chargers for mobile phones, laptops, tablets and digital cameras bring the Li-ion battery to 4.20V/cell. This allows maximum capacity, because the consumer wants nothing less than optimal runtime. Industry, on the other hand, is more concerned about longevity and may choose lower voltage thresholds. Satellites and electric vehicles are examples where the importance of longevity surpasses harvesting maximum capacity. For safety reasons, many lithium-ion cannot exceed 4.20V/cell. (The exception is the high energy-dense NMC that charges to 4.30V/cell.) While a higher voltage boosts capacity, exceeding the voltage shortens service life and compromises safety. 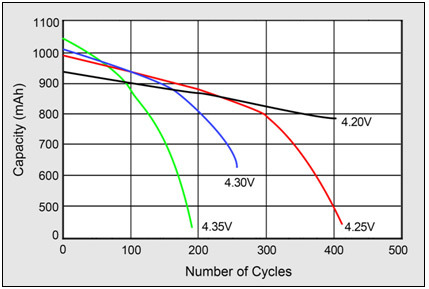 Figure 5 demonstrates cycle count as a function of charge voltage. At 4.35V, the cycle count of a regular Li-ion is cut in half. Higher charge voltages boost capacity but lowers cycle life and compromises safety. The Dalhousie University in Halifax under Professor Jeff Dahn studied the longevity of L-ion by coulombic efficiency (CE). CE is a method that defines the efficiency with which electrons are transferred in an electrochemical system. The cathode (positive electrode) develops a similar restrictive layer known as electrolyte oxidation. Dr. Dahn stresses that a voltage above 4.10V/cell at elevated temperature causes this, a demise that can be more harmful than cycling. The longer the battery stays in the high voltage, the faster the degradation occurs. The build-up can result in a sudden capacity loss that is difficult to predict by cycling alone. This phenomenon had been known for some years and measuring the coulombic efficiency can verify these effects in a more scientific and systematic manner. So it seems that DJI is giving wrong info about deep discharge.. it actually may damage cells. I think tyou may want to do it once to caliberate the battery BUT not needed each 10 cycles as the new firmware makes you do! !Field use revealed that the combination of heat and high voltage can cause more stress to Li-ion than harsh cycling. Lithium-ion is a very clean system that does not need additional cycling once it leaves the factory, nor does it require the level of maintenance that nickel-based batteries do. Additional formatting makes little difference because the maximum capacity is available right from the beginning, (the exception may be a small capacity gain after a long storage). Nor does a full discharge improve the capacity once the battery has faded. A low capacity signals the end of life. A discharge/charge may only be beneficial to calibrate a “digital” battery; it does nothing to improve the “chemical battery.” (See BU-601: Inner Working of a Smart Battery) Instructions recommending charging a new battery for eight hours do not cause harm but this is “old school,” a left-over from the old nickel battery days. Many of us here are very familiar with lipo care and use as we have been utilizing the battery chemistry for many years in different RC models. The thing to remember is a deep cycle is not taking the cells down to any dangerous level for the pack. In fact, zero percentage on the battery is still circa 3.4v per cell. The lvc of the pack kicks in before anything damaging happens. Secondly, and this is important, without regularly deep cycling the pack as recommended the software will lose its calibration as to what 'zero' actually is. This means that the firmware could report erroneously a critical battery alarm state even if the pack isn't at that stage. By 'zeroing' the pack every so often you are telling the firmware 'OK, this is zero, I cannot go any lower than this point....this is your reference. After that, the pack should be fully charged and used from that state. The firmware then has a zero reference point and a fully charged reference. The deep cycle is important. The other fact that is completely ommited from your article is that as packs age their internal resistance increases. This has the effect of the pack not being able to deliver it's C related capacity or give up its charge so readily. The packs should be calibrated regularly. FYI, I have 8 packs the oldest of which is the TB47 that came with the Inspire. I have just under 50 cycles on it and it is still showing 100% life and 4,500mah capacity. I have deep discharged this pack 3 times from memory. I ALWAYS store my packs at 50%/3.85v per cell even if I am not going to use them for 5 or 6 days. Also remember, the Inspire packs are not standard cells - they charge to around 4.34v per cell which would destroy normal packs. So, taking all of the above into consideration, is it just coincidence that yesterday after doing the recommended "10x10" conditioning on five diff batts, and then bringing them to 'zero' (actually 10% when they shut off) and then re-charging fully, all BUT ONE charged and the lame one is going back rot DJI for replacement (hopefully). Is my failure rate consistent with others here? Excuse my ignorance, but how it the best way to deep discharge the battery's ? Do you use some sort of power draw or just leave the inspire on. Could you fly it most of the way down, then leave it ticking over? Just FYI, I have 5 batteries and one of the new 5700mha batteries arrived with a peak capacity of 5573mha. I tried charging the battery 11 times and doing deep cycle drains with no luck. After going back and forth with DJI they are replacing it but it took me two weeks to get it resolved. The other 4 batteries are fine and I do deep discharges after 10 like they want with no problems. Only one bad battery out of the batch isn't bad I guess......... Don't want to bash DJI too hard here since I know they have been busy so thanks DJI for taking care of the issue. I would love to hear about what solutions everyone is using. I've looked into the smart power charge docking station, but it's pricey! Lovely, I'll check it out. Are you able to comment on comparisons between the Angel and the Smart Power Charge unit? Brad....the Angel safely discharges TB batteries in a controlled manner....either to 50% for storage or to '0'% (not literally zero percent but the minimum voltage per cell without damaging the cells). The Angel does not charge batteries. The Smartpower chargers can only charge batteries....they cannot discharge. I have and use both.....could not do without either. This is a new product and I have not used one so can't comment further on it. My apologies.... I gave duff info.... YES, the Smartpowercharge does discharge batteries to '0'% as part of the deep cycle process.... you cannot discharge to 50% for storage. I have one of the Smart Chargers. Great machine but the discharge rate is incredibly slow so it can take a long time to discharge. Then again, I don't think the company recommends discharging a battery that has more than 30% charge (I think that was the number) because of the low discharge rate. My SmartPowerCharge died a year and a few months after I purchased it. It had a very easy life so it should have lasted a long time but it didn't. The company tried to help but in the end I am out over $400 for this. Could you tell me if it's possible to deep cycling a TB48 pack without using special discharger unit ? Could we simply let the bird switch on, running slowly on a table without props ? And especially, how deep in percentage we have to reach, on the app monitoring display, in order to proceed a correct deep discharging ? Fly bird till you start seeing 3.5 volts bring it in close and hover a foot off the ground till you get to 10 percent. Land and leave the bird on till it shuts itself off. That part will take awhile. Once it shuts itself off charge the battery. I have got a TB48 in the bird at 11 percent and 3,70 v. displayed on the app. But the bird doesn't want to run the engines, should I consider it's ok for the deep discharging and can I charge the batterie or should I wait ?